Micho’s Mind is a new regular column where Orlando Pirates head coach Micho Sredojevic will be sharing his knowledge and insight in the run-up to AFCON 2019 and during it. Here, Coach Micho tells us his thoughts on the spectacular AFCON draw on Friday and takes a glance at each group. 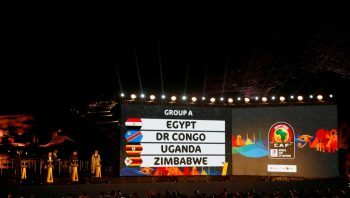 After a very thrilling Africa Cup of Nations qualification finale at the end of March, we had waited long enough to see the draw for AFCON 2019 in front of the Giza Pyramids in the outskirts of Cairo. I believe that the AFCON draw and the ceremony precursor was organised immaculately. The pots were designated as per FIFA rankings and we ended up with four pots which were well distributed. I can say everything went very well and in a very glamorous way. The only problem I personally had was that in Africa where we are known for the acrobatic goal celebrations of our players, we had to bring an Austrian group of acrobats to dance an African dance. In my personal opinion this was an abuse to the continent. Africa is known as a continent that has dancing, that has sun, that has smiles, and that has football. It has everything for it to have its own African dancers and acrobatics that could spice up the ceremony and, more importantly, make it more ethical. I would say Group A is the group of death where hosts and favourites Egypt will open against Zimbabwe, then play DR Congo and Uganda. Mathematically, it’s very simple for them. They want to win all their matches and progress to the knockout stages as group winners. Egypt have a very good team with African Player of the Year Mohamed Salah. The new Mexican coach Javier Aguirre has made them play more expressive football than predecessor Hector Cuper. They will be far more attractive and more attack-orientated than they were at the last World Cup and AFCON. They need to have the find the perfect balance when playing in front of the pressure and expectations of their home fans. Yes, they will want to attack but they shouldn’t leave themselves exposed. When you look at DR Congo you see them as a good, settled team with Florent Ibenge as their coach for many years. I would say the presence of Uganda and Zimbabwe will give them sleepless nights. Zimbabwe beat them in Kinshasa and drew with them during qualification so they have the psychological edge. Having talents like Cedric Bakambu and Ibenge, a talented African coach, means they shade it for me. Uganda coached by Sebastien DeSabre will need to find a goalscoring formula to complement their recognisable defensive approach. Looking at their schedule, they need to win and draw in their first two games before they play against Egypt in the final game. Can they improve the attacking part of their game in the next two months? Defensively they already have a solid identity..
Zimbabwe have a marvellous group of attacking players, a balance midfield, but they have some problems in defence. Again, it will be about balance with them, can George Chigova in goal and those in front of him provide tight enough protection? It’s an equal group with Egypt, the home team, the favourites. Unfortunately one good team will drop out. When you look at everything you’ll say Nigeria and Guinea are going through and Madagascar and Burundi will be the punching bags. Nigeria are the favourites to go through. They qualified convincingly for this tournament. Gernot Rohr has been with the team for more than two years and there’s an ingrained culture in the team. They are hard to beat and are a well balanced outfit. They are the absolute favourite to qualify. Guinea have Paul Put who led Burkina Faso to the final in 2013. Like Nigeria, they qualified convincingly finishing above Ivory Coast and beating them in Abidjan. They are a competitive team that look like they will finish comfortably progress. Madagascar and Burundi are the outsiders and underdogs. But their two respective governments have given their technical teams the license to search for players in their diaspora. I have no doubt that both teams will be strengthened with several players and that will make them significantly stronger. For me, Burundi, who have Saido Berahino and Gael Bigirimana, could be a surprise package. Madagascar have CAF President Ahmad Ahmad for support and the goodwill of the government for a team that has qualified for the first time. Senegal have done very well under Aliou Cisse for several years. After their good qualifying form and performance at last year’s World Cup I believe they will win the group. Algeria will be their main rivals. Djamel Belmadi has established a good group with Algeria after their failure at the last AFCON and last World Cup qualifiers. Belmadi has made their defending and build up much better. They are also very effective going forward with goal machine Baghdad Bounedjah, Ishak Belfoldi, Yacine Brahimi and Riyad Mahrez. How will they prepare? We shall see but they have everything it takes when you look at their names. They should qualify from the group. Then we have our East African brothers Kenya and Tanzania. That will be more than a match and more than a rivalry. Kenya has perhaps better sounding names and coach Sebastien Migne has made them a solid team that doesn’t concede a lot goals. On the other side, Emmanuel Amunike has made Tanzania a dangerous attacking team with captain Mbwana Samatta, Saimon Msuva, John Bocco and others. Kenya and Tanzania will fight for the third pace. Teams that haven’t qualified for 15 and 39 years respectively. We will see whether they can pick up points in their other games but when they face each other it will be a must-win game for both sides. This is one of the groups of deaths. Namibia has the tag of underdog but it has the fighting spirit to be dark horses. But it’s hard to believe they can spring a shock. Morocco, ivory Coast and South Africa are giants of African football will probably all win against Namibia. Morocco have reached a matured phase under Herve Renard and they will be one of the tournament’s favourites. Morocco have a competitive edge and a coach that has won two AFCONs with Zambia in 2012 and Ivory Coast in 2015. Herve Renard will clash against Ivory Coast again. Ivory Coast now have a local coach in Ibrahim Kamara but they seem more based around individuality than their well-roundedness as a team. The question is: can they turn individual quality into collective quality? South Africa, where I currently reside, and the team that the bottom of my soul I try to support have Stuart Baxter. He is a well travelled coach and he’s made this South Africa team a well-oiled unit which qualified well in a different group. There’s huge pressure from supporters, as always. They have good records against Morocco and Ivory Coast but this is a totally different ballgame. They have a tight defence, a creative hardworking midfield and a strong attack led by Percy Tau, marksman and goalscorer of many goals in the qualifiers. With good preparation I believe South Africa can break the predicted duopoly in this break and possibly qualify as runners-up. This is Namibia’s first qualification and they will be looking to be honourable participants. Nobody can take away from Namibia and their coach Ricardo Mannetti their chance of having hope. This group doesn’t look strong but the facts speaks for themselves. Mauritania have qualified for the first time and are last year’s CAF Team of the Year. Both Mauritania sent out Burkina Faso, who finished third last time out. Tunisia are favourites with new coach Alain Giresse. I simply believe that they have the quality to finish top of this group. Mali could follow them in second place. They have a deep pool of players to select from with over 500 players plying their trade in Europe. They have the iron defence and creative attack to be in the top two in these group if not challenge Tunisia to the chance spot. Mauritania have gone from strength to strength in recent years under Corentin Martins. They are a physically imposing with the fighting spirit to match. The whole nation is behind them and their FA is trying to provide the best possible conditions for the team. I have no doubts they will be very prepared and they could be a surprise package. Angola have slipped over the years but they have a good group of players that have done well when at home. On neutral ground you have to wonder what could happen to them. They have everything to compete but they have dropped in FIFA rankings and I don’t think they will finish above the others. Anything is possible in football so I won’t totally take a ray of hope away from them. An extremely competitive group. Defending champions Cameroon have good players and will be hoping to overcome being overlooked as hosts. The homework for Cameroon coach Clarence Seedorf and his assistant Patrick Kluivert is making them play as a team. On a positive note, much of the backbone of the team that won in Gabon is still there and that makes them favourites for this group. Ghana have Kwesi Appiah back at the helm. They are a sleeping giant, have the pool of players, and a new captain in Thomas Partey. They are a quality team but their big problem is their pressure on them. With every competition they go with the intention to win but since they have fallen short since 1982. They have reached the final and been close yet far. How they’ll do this time we don’t know but they have no right to put themselves under pressure. Michel Dussuyer’s Benin came to this group via pot 3. When you look at them you see a well-coached team which reached the quarter finals nine years ago under the same coach. They have the individual players like Stephane Sessegnon and will be looking to cause a shock versus Cameroon or Ghana. Finally, Guinea-Bissau aren’t coming with expectations but they shouldn’t be taken lightly. Impressively, they qualified at the expense of giants Zambia and Mozambique. It won’t be easy for them but they have individuals playing at a good standard in Europe especially in Portugal. It won’t be easy for them but they could perform above expectations. An invisible match will be played from now until the AFCON starts. Factors like pre-tournament preparation and the quality of player countries will select to represent them in the final squad will play an important role. Small details will define the success or failure of these teams. Let African football be the winner.